“The measure of a man is the depth of his convictions, the breadth of his interests, and the height of his ideals.” This compelling statement—intended to inspire 1930s Annapolis High School students—is inscribed above the proscenium in the recently renovated auditorium at Maryland Hall for the Creative Arts, where the Annapolis Symphony Orchestra (ASO) makes its home. Despite having no official connection to those words, the ASO personifies them. Its commitment to excellence is evident both on and off the stage with quality performances and education. People have taken notice, including the world-renowned violinist Midori. 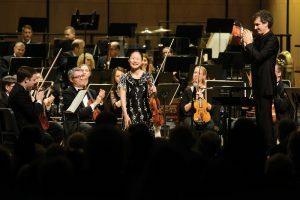 It’s fitting that the legendary, Japanese-born American violinist served as guest soloist to help usher in the organization’s 55th season with unprecedented, back-to-back, sold-out shows on September 30 and October 1. Classical music in 2016 is at a crossroads, and ASO’s staff, board members, musicians, donors, and patrons are moving in the right direction. 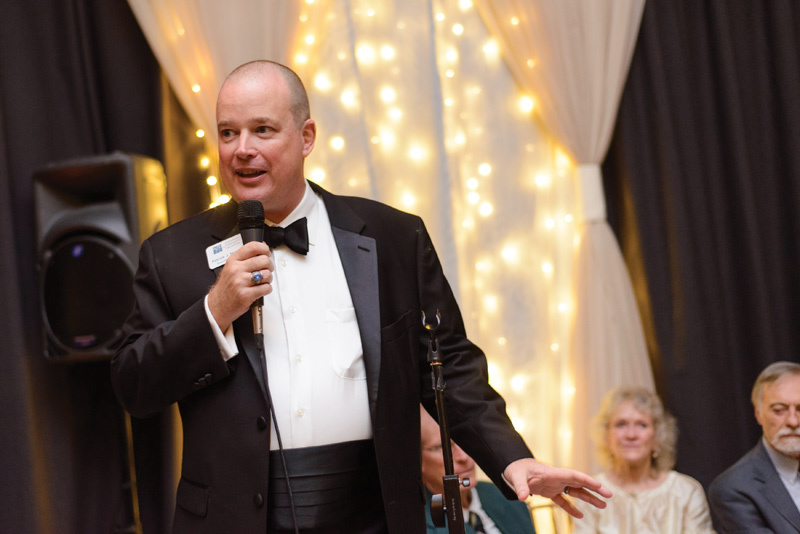 Patrick Nugent, who celebrated his first anniversary as ASO’s executive director on opening night, echoed that artistic analogy. 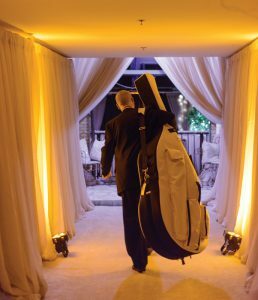 He, Novo, and General Manager Marshall Mentz each play an integral role in the orchestra’s operations. “[Our job] is to give Novo the tools and the palette with which to paint, and he’s the painter. He’s the one who decides what the season will look and feel like,” says Nugent. Music is something you hear, see, and feel. That undeniable connection is something that the modernist painter Marc Chagall recognized and incorporated into much of his work. Novo named ASO’s current season “The Triumph of Music,” based on one of the master painter’s two large murals for the New York Metropolitan Opera. “[It shows] how great music can be, on its own and through the eyes of a visual artist,” said Novo. 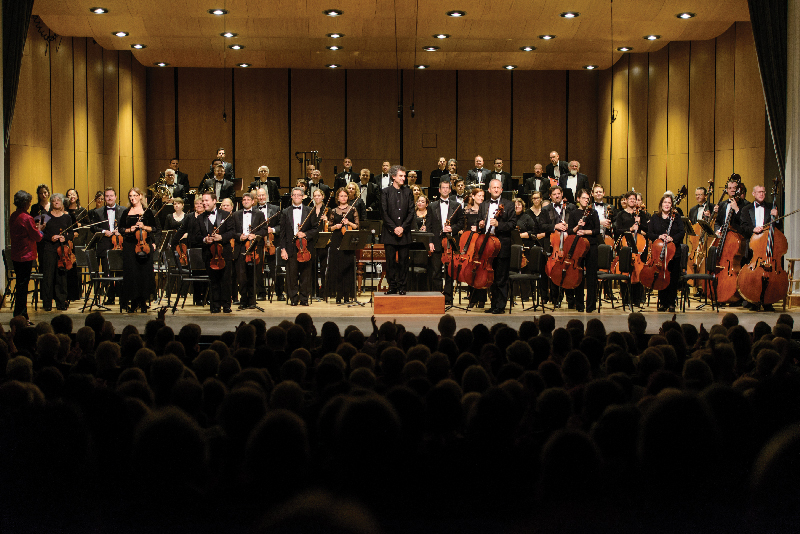 All things considered, Annapolis’ hometown symphony is thriving. 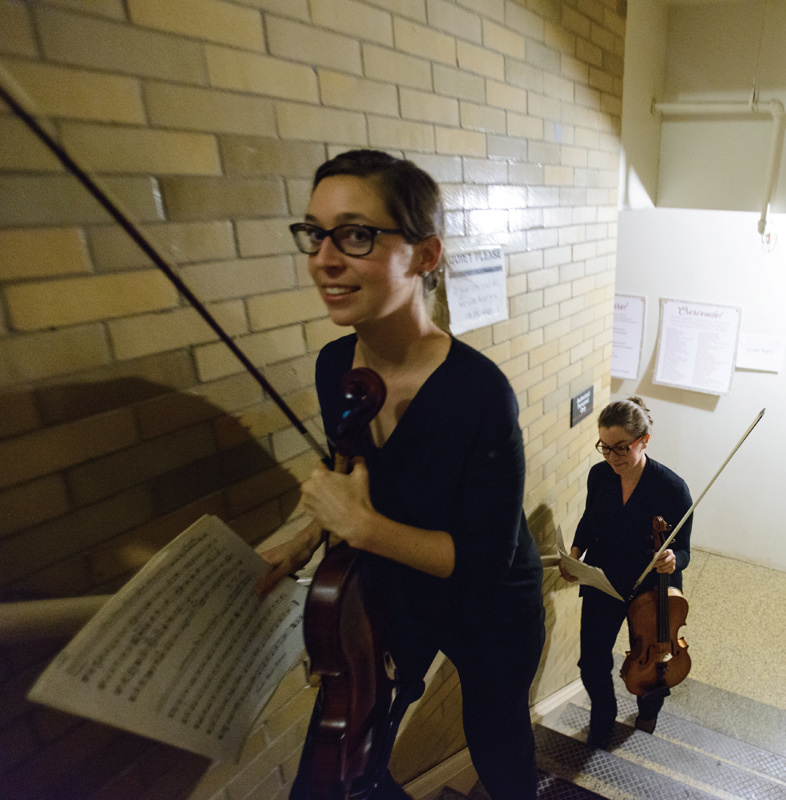 ASO is currently comprised of 70 part-time, unionized, professional musicians and boasts a subscription rate of 72 to 73 percent, which is twice as high as the national average. The median age of the symphony goer, 63, has held steady at that number for a century, according to Nugent, who has for the past 10 years honed his skills in nonprofit management, strategic planning, and fundraising, and is determined to attract the Gen X demographic as subscribers. “People under the age of 45 are looking for new social experiences. They don’t want to accumulate things. They want broader, deeper, and better richness of experience,” says Nugent. He’s considering proposing a second, more experimental subscription series. They are developing small ensembles of three to five instruments to increase mobility and accessibility for pub crawls, mall pop-ups, and small, ticketed concerts at places of worship. Such events would not interfere with the current schedule. “We have to adapt for new audiences by making the classical music experience more social,” he says. He is certain that, if done right, people will come. Education is another focus of ASO’s intent to expand its reach. One of this season’s priorities is significantly expanding its integrative learning programs. Novo, who likens music to being almost a religious experience, is an ardent advocate for arts and music education. He points to the lack of such education as affecting current culture and contributing to the declining interest in classical music. “Education in the arts and music is not complementary but essential. For musicians, it’s a no-brainer. Its positive effects on the mind have been proved by science. But for many people, it’s something difficult to measure, so it’s hard to convince people that it’s more important to have training in music than one more sport activity in school,” he says, adding that it is important to start that education early. 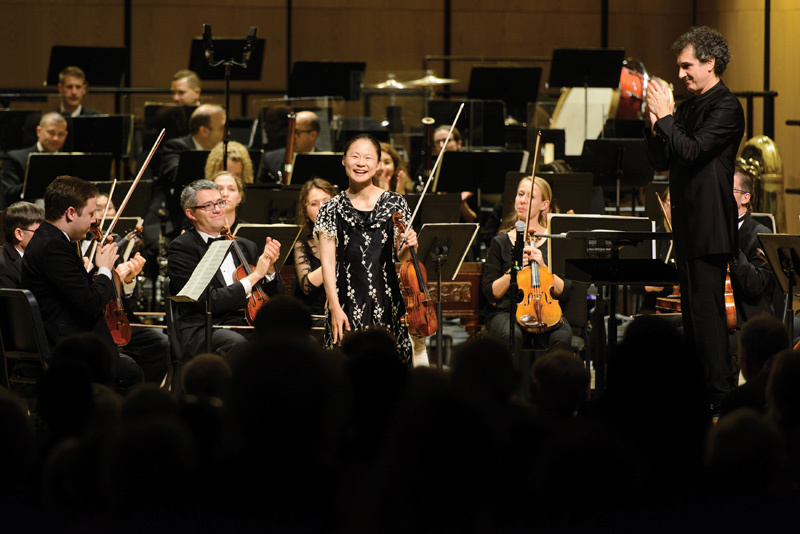 Midori, who is profoundly committed to providing musical education to children, made her debut at age 11 with the New York Philharmonic’s traditional New Year’s Eve concert. On opening weekend with the ASO, she performed the Violin Concerto in D Major, Op. 61, by Ludwig van Beethoven. The deaf composer, who reinvented the symphony, performed publicly for the first time at around age 7. Error: Error validating access token: Session has expired on Saturday, 09-Mar-19 15:57:50 PST. The current time is Tuesday, 23-Apr-19 09:09:04 PDT.